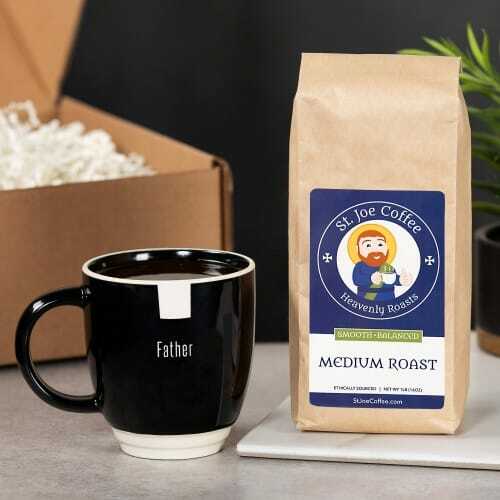 This gift box will bring a smile to the face of any coffee loving priest. The boxed set includes 16 oz of our medium roast, organic, fair trade ground St. Joe Coffee. A sturdy ceramic mug with a priest collar design and "Father" engraved on the front makes a perfect, unique gift to say thank you to a dedicated priest!